RAB is always met with great enthusiasm on its visits to PNG. Port Moresby General Hospital is the only public hospital in PNG servicing 7.8M people. There are literally queues of patients waiting for a basic X-ray. The hospital remains a mixture of old, unrenovated x-ray rooms, a brand new air-conditioned CT department, and only 1 office in the hospital having internet connection! Large groups of doctors have to crowd around just 1 computer to participate in the online lecture series. RAB aims to improve the speed and accuracy of the Radiologists for general medicine and introduce them to the newer technique of CT and MRI. 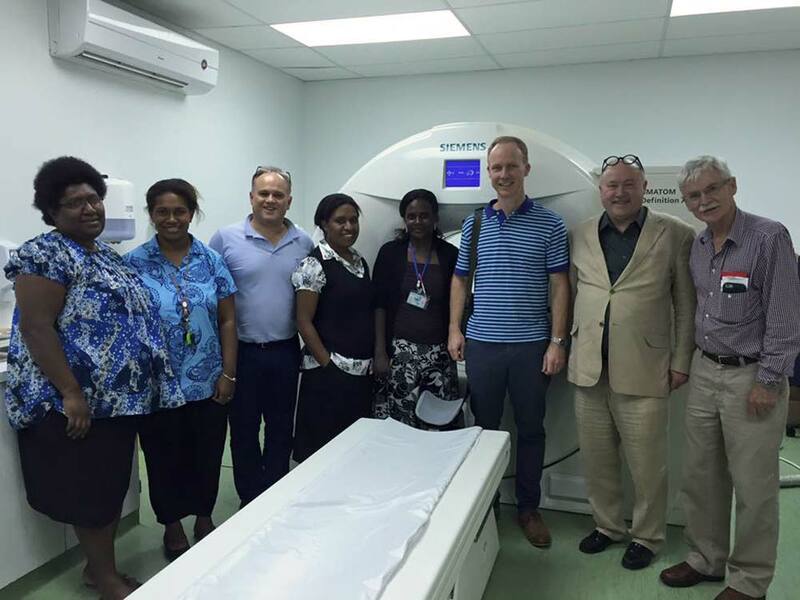 Running from 24th – 26th July, the 3rd Annual Port Moresby General Hospital radiology RAB lecture series was recently completed by Michael Crowley, Colin Styles, Glenn McNally and Victor Mansberg, accompanied by Julie Mansberg. The RAB team is delighted to be welcomed by our Papua New Guinea colleagues to undertake Lecture Series 2 at Port Moresby General Hospital. 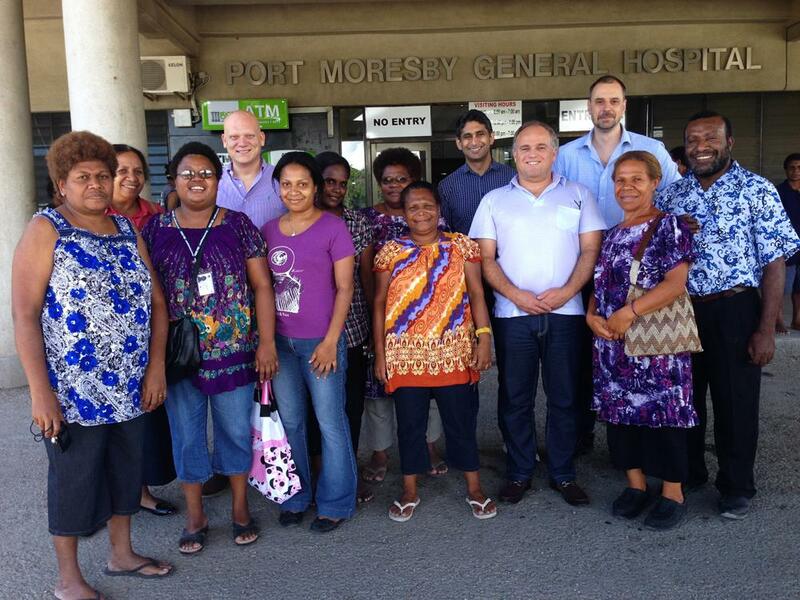 Our team has again developed a comprehensive education training programme in consultation with the Radiologists in Papua New Guinea to address their clinical needs. After month of planning, the RAB team traveled to Port Moresby General Hospital (29 November - 1 December) to undertake the inaugural Lecture Series in Papua New Guinea. 3 Radiologists, 1 Radiology Registrar, 2 Mammographers and 8 Radiographers keenly attended the lectures and structured tutorials over our two- day intensive schedule.